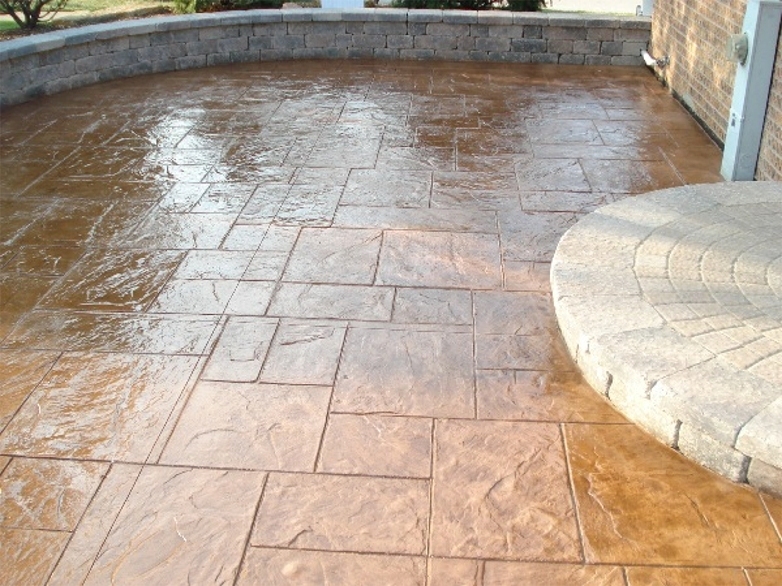 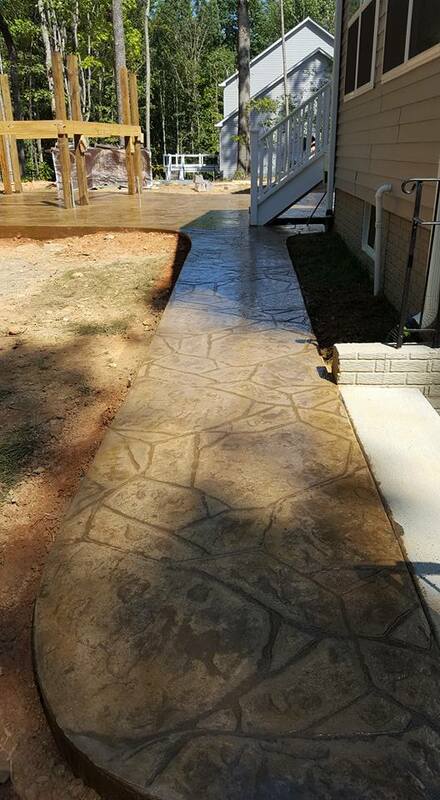 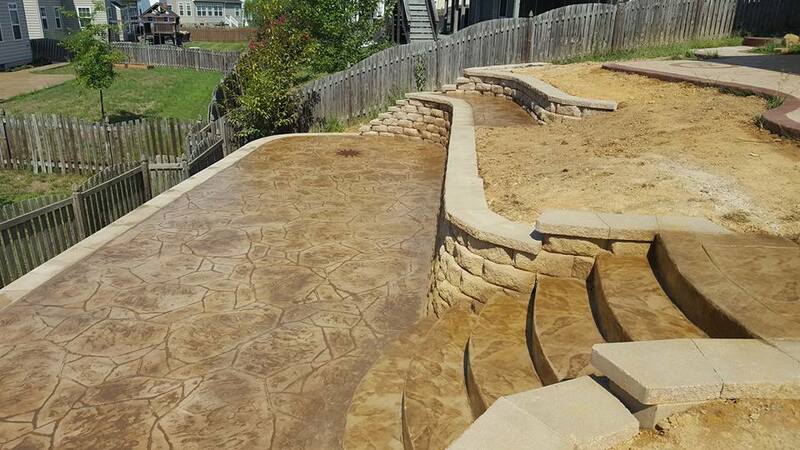 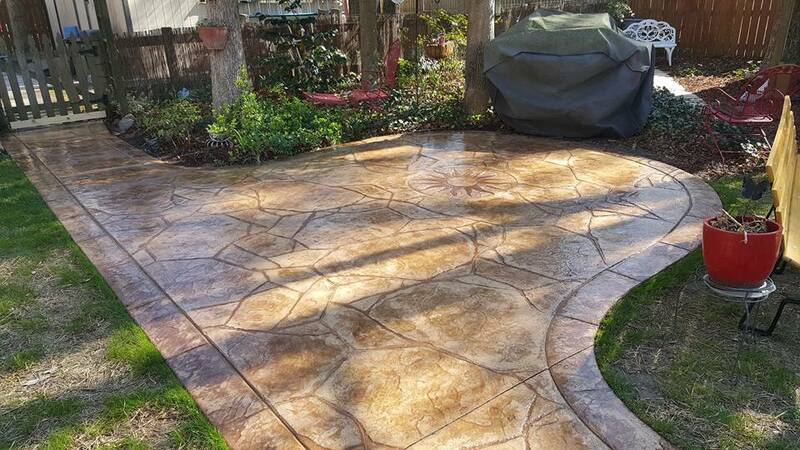 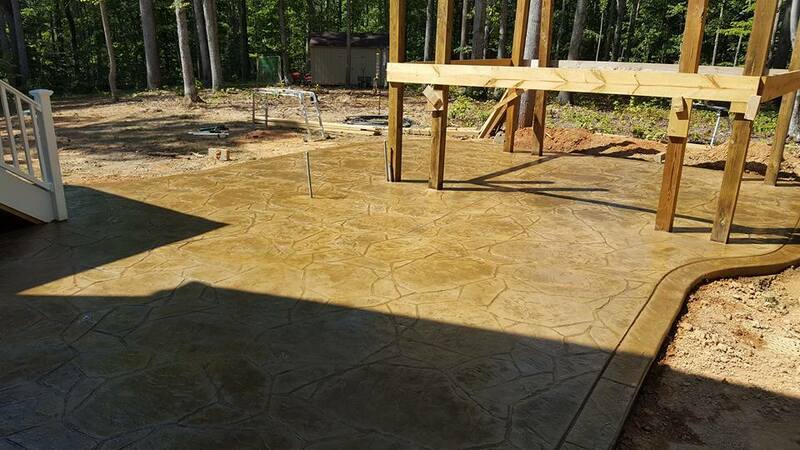 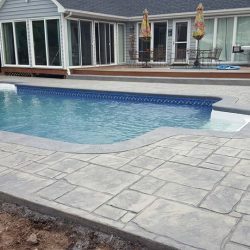 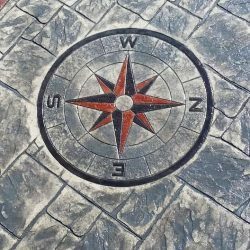 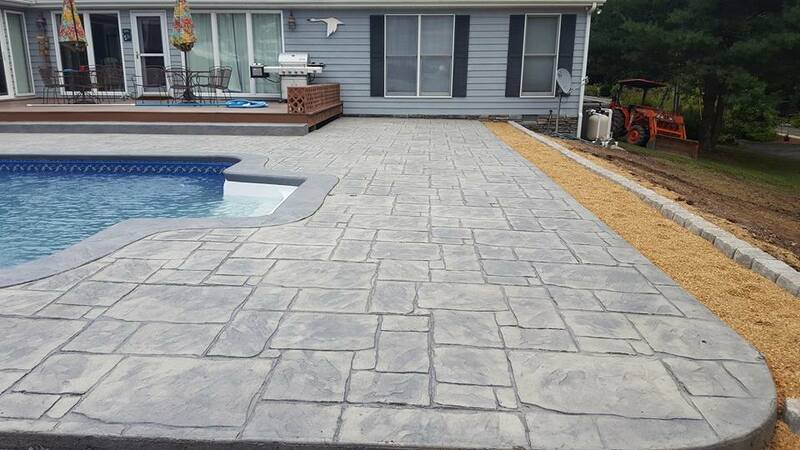 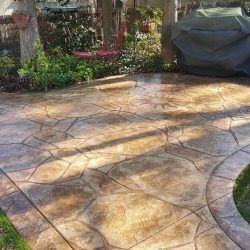 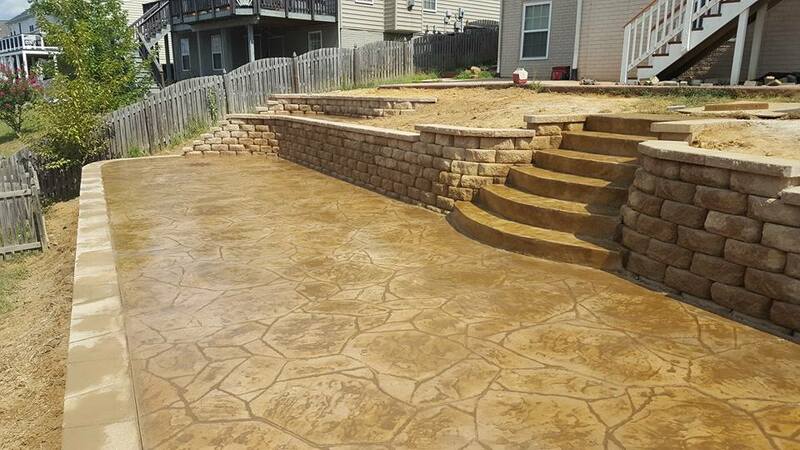 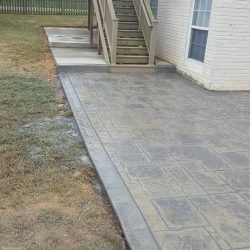 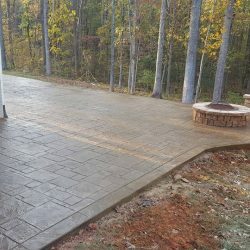 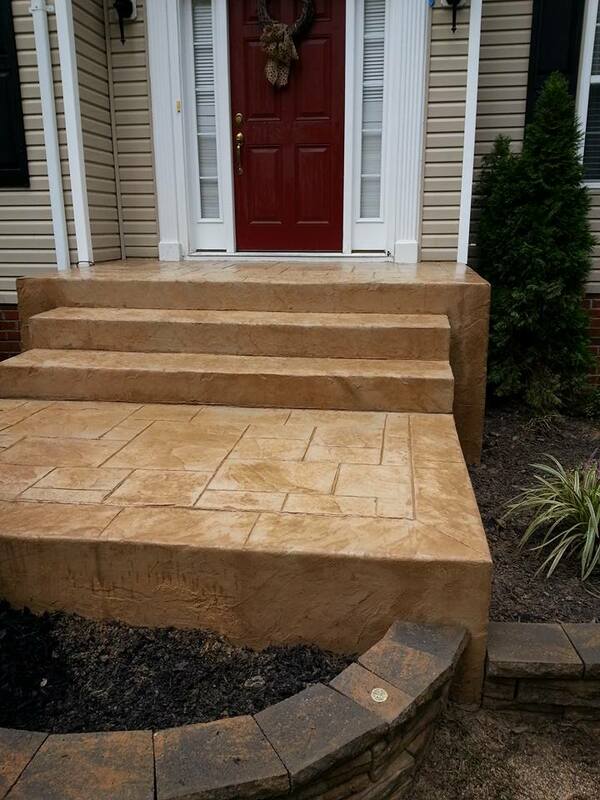 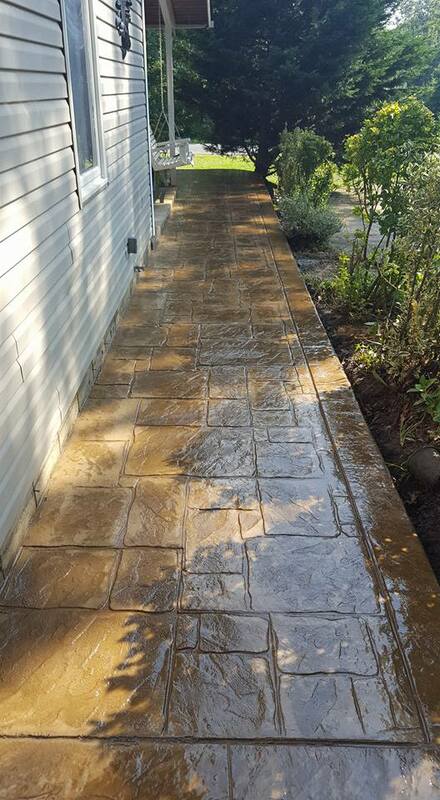 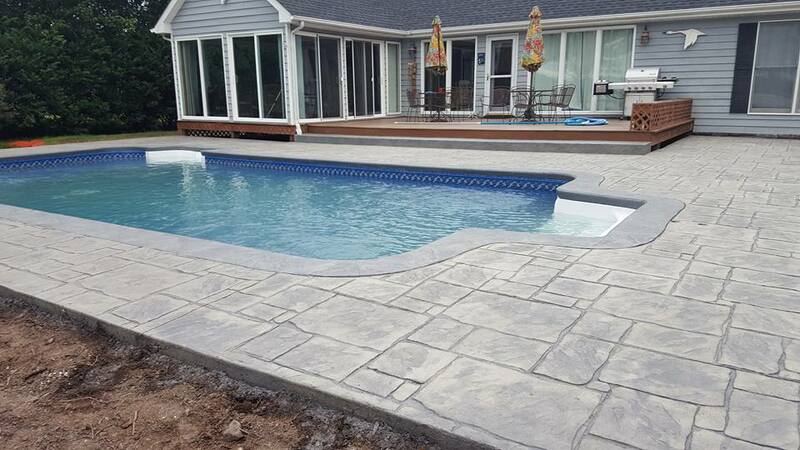 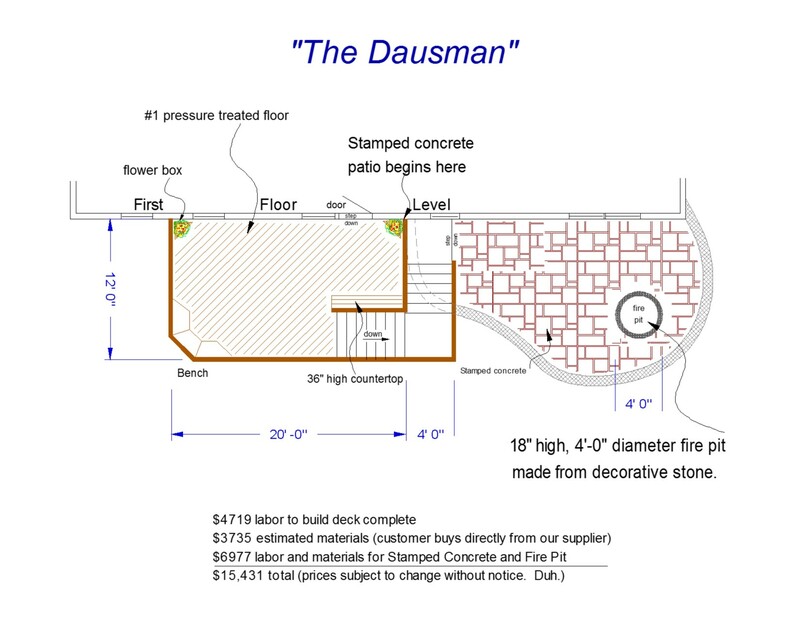 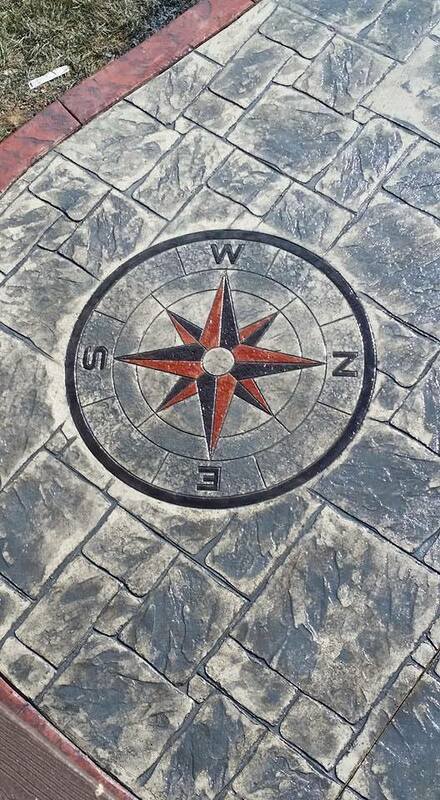 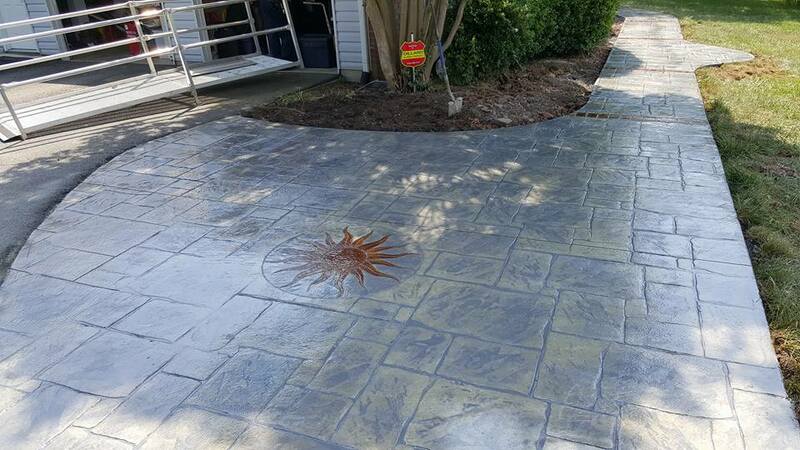 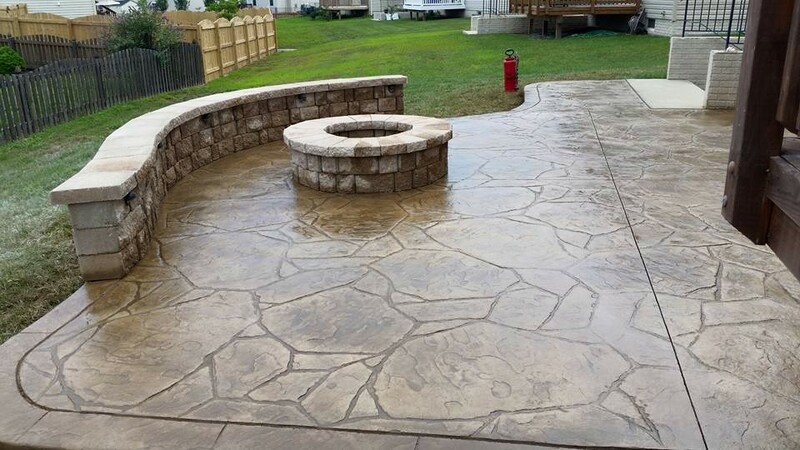 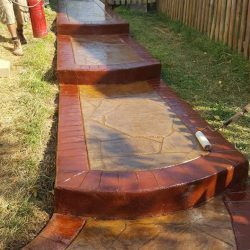 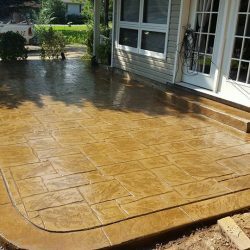 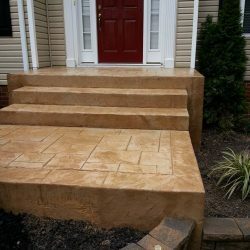 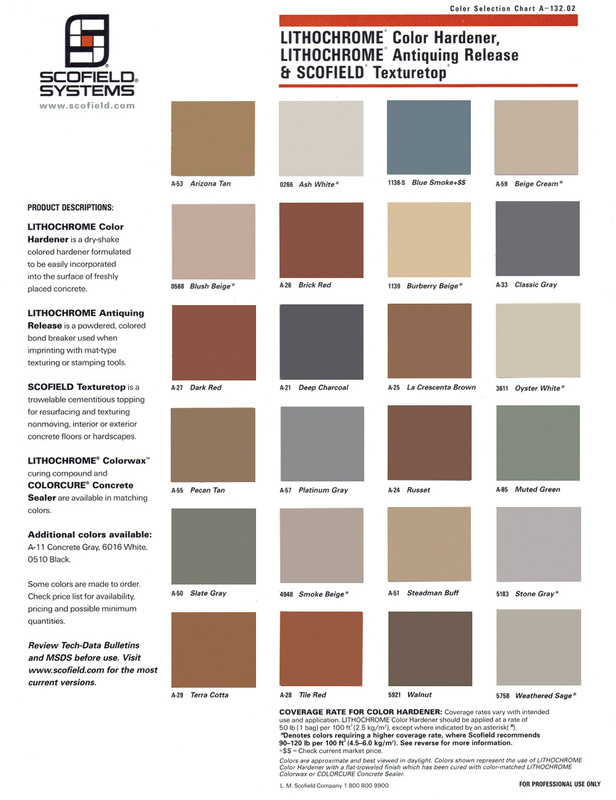 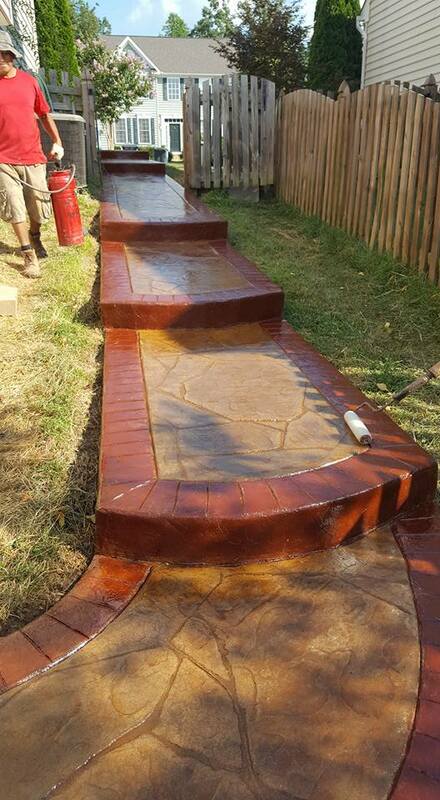 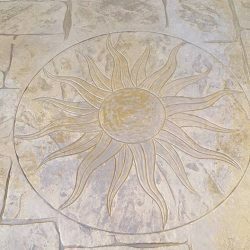 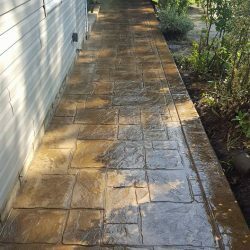 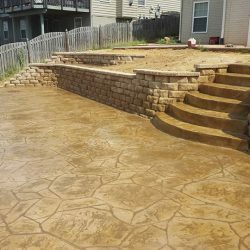 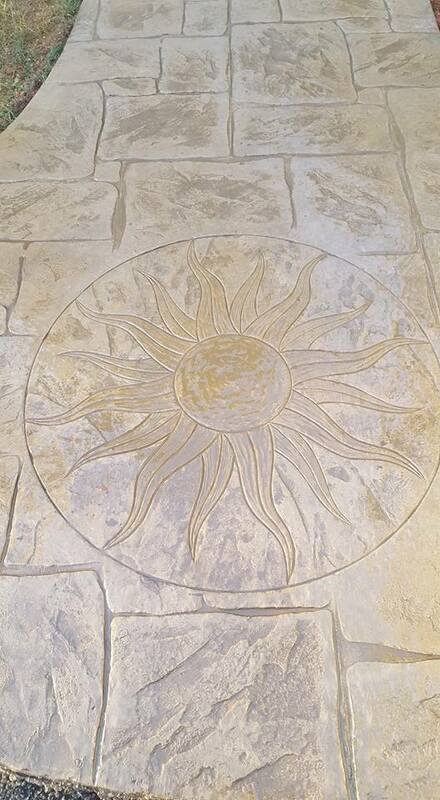 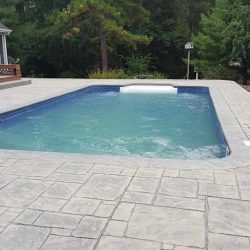 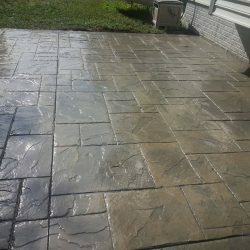 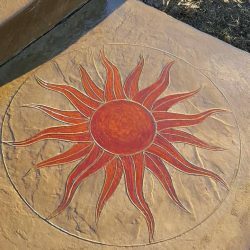 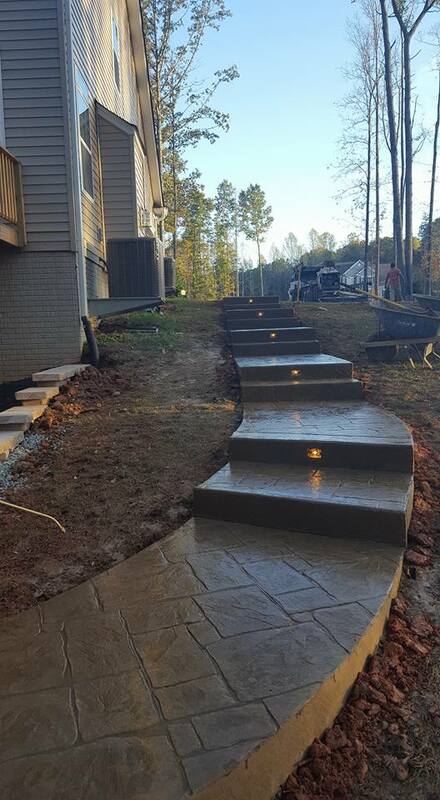 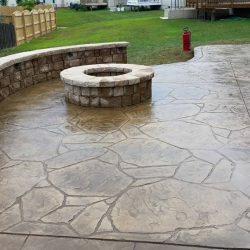 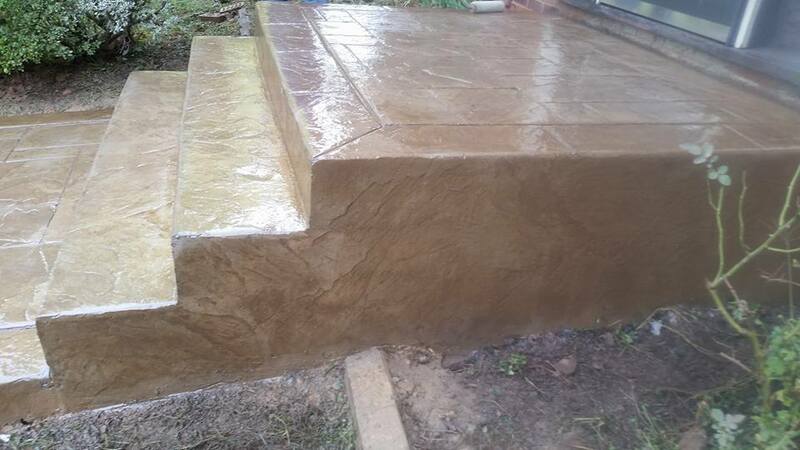 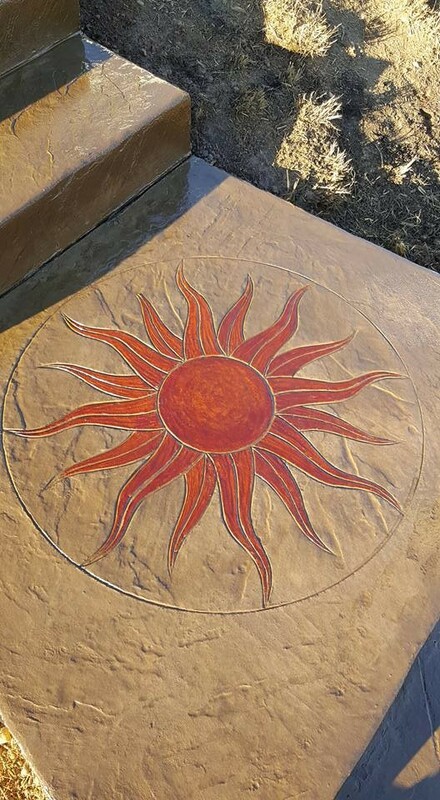 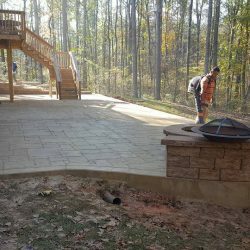 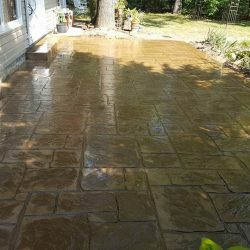 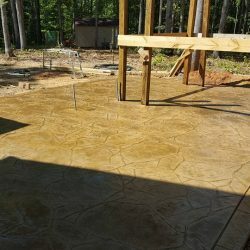 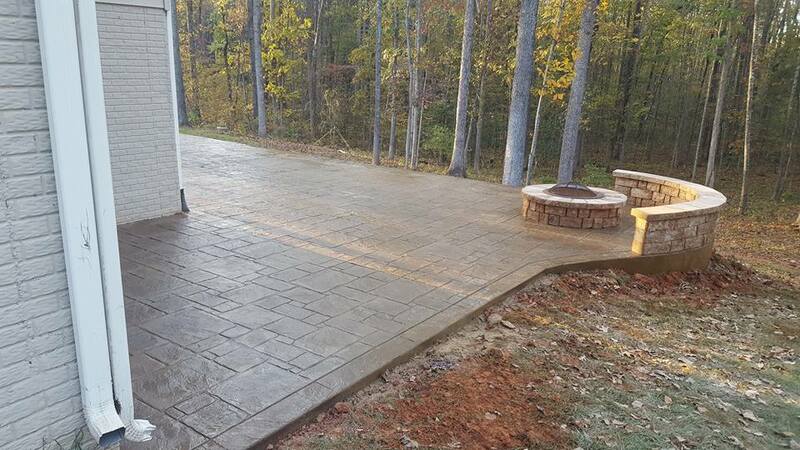 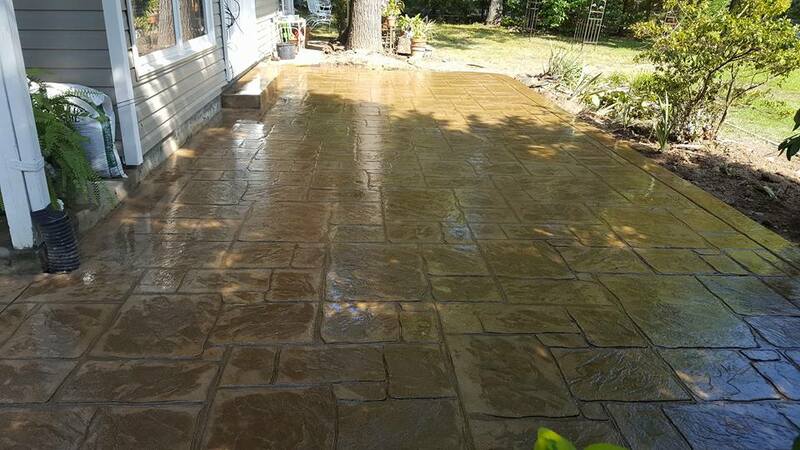 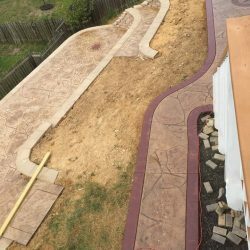 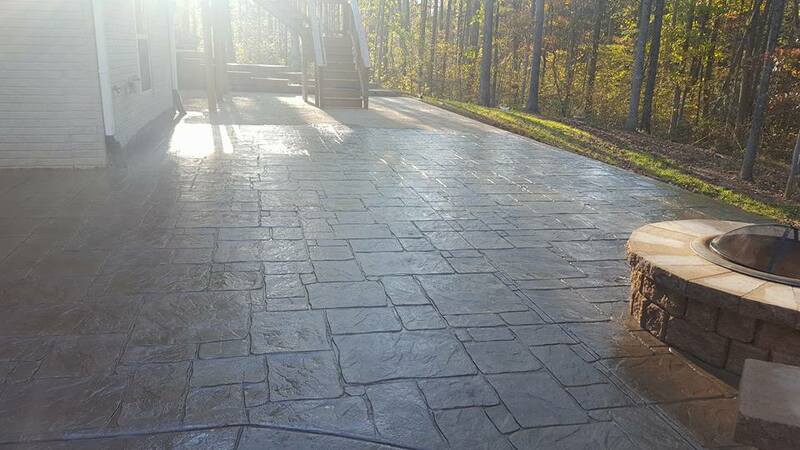 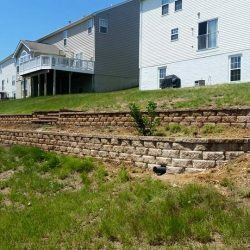 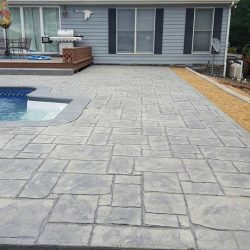 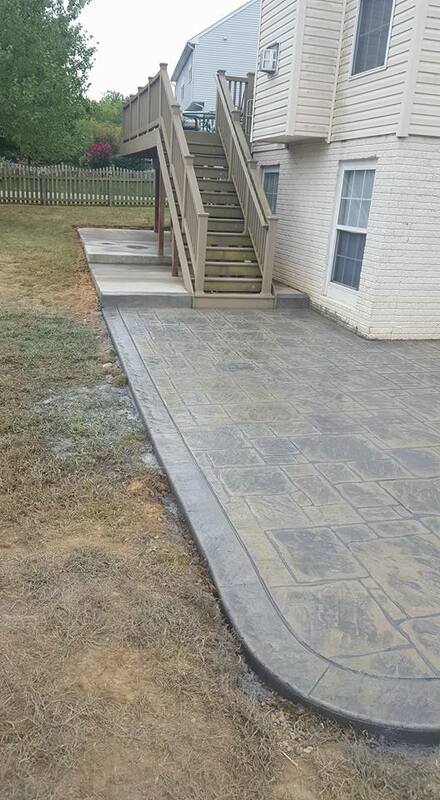 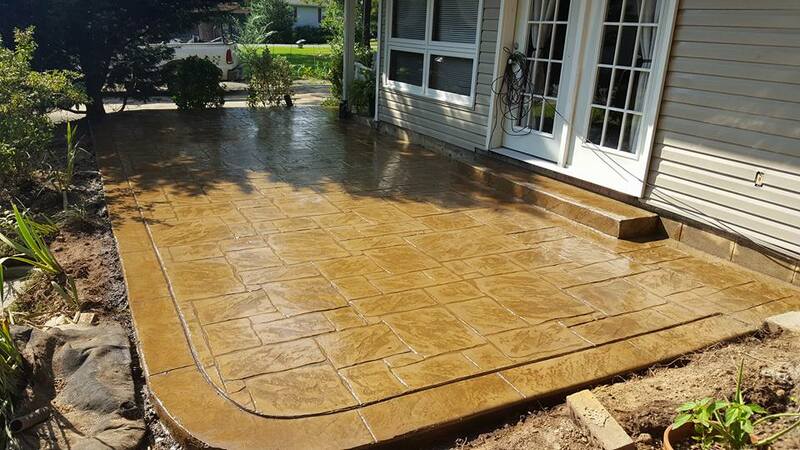 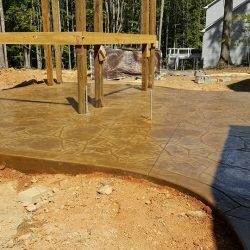 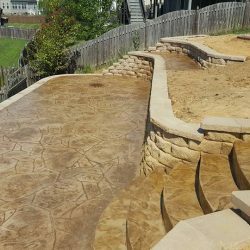 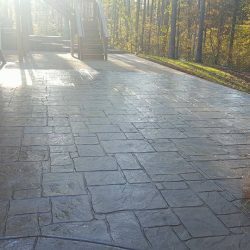 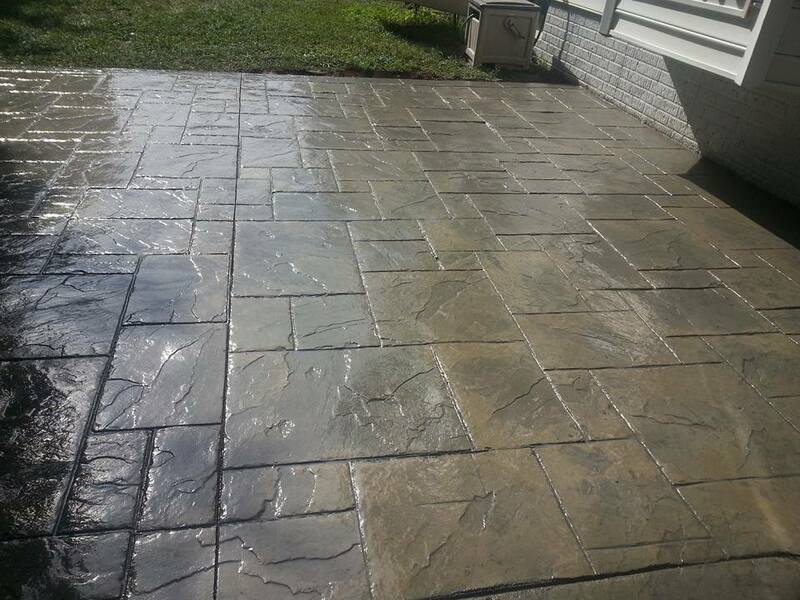 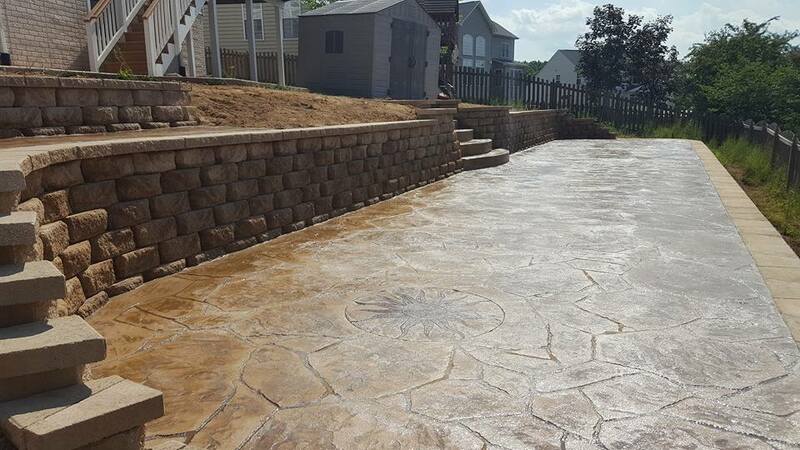 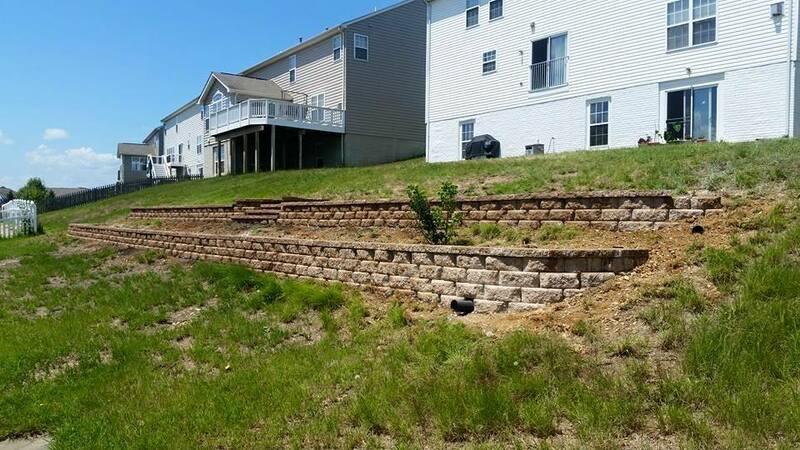 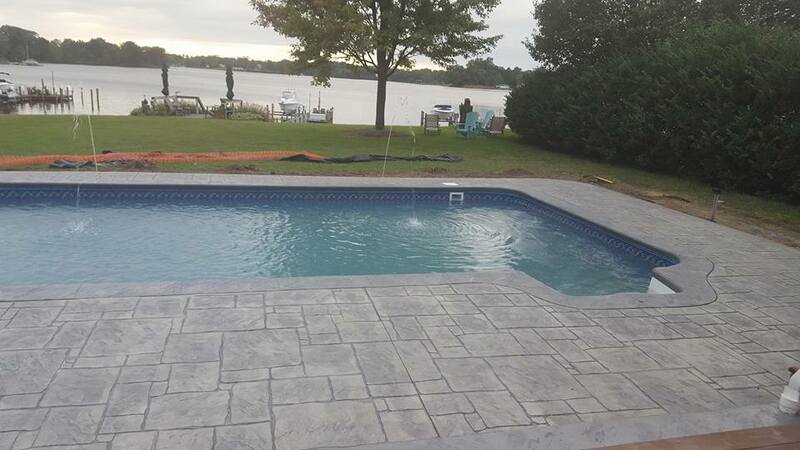 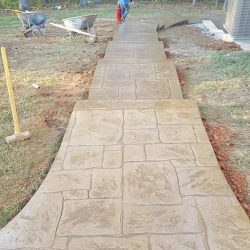 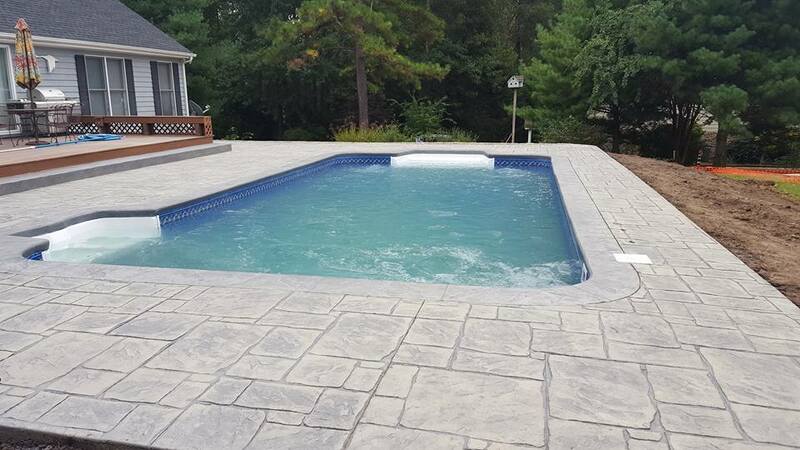 The people who do our stamped concrete are pros. 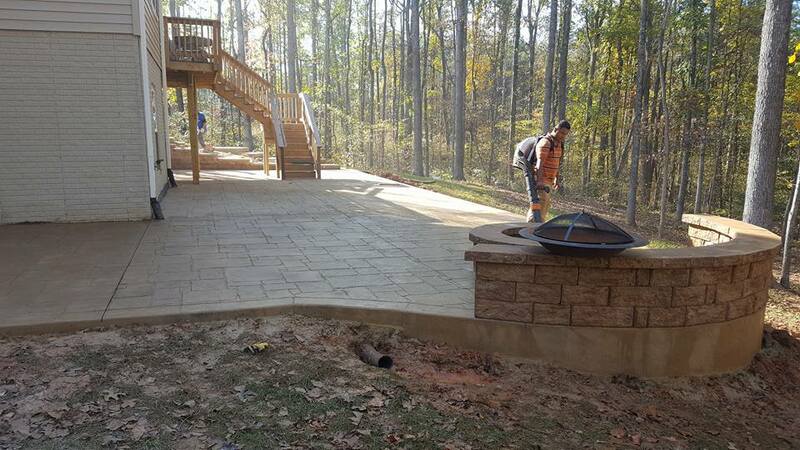 They thoroughly prepare the ground by removing sod, framing the perimeter, and installing 3”-4” of gravel. 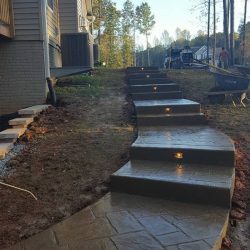 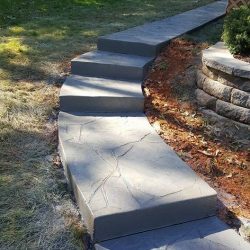 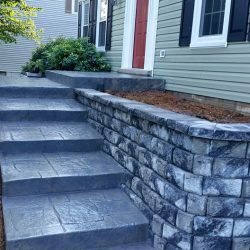 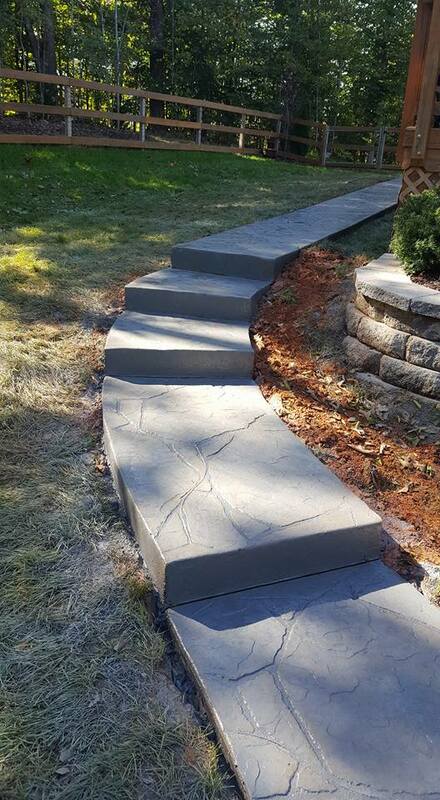 This step is critical in order to have sufficient gravel so water does not erode the earth below the concrete and create a pocket which can fill with water, freeze and bust your concrete a year or two later. 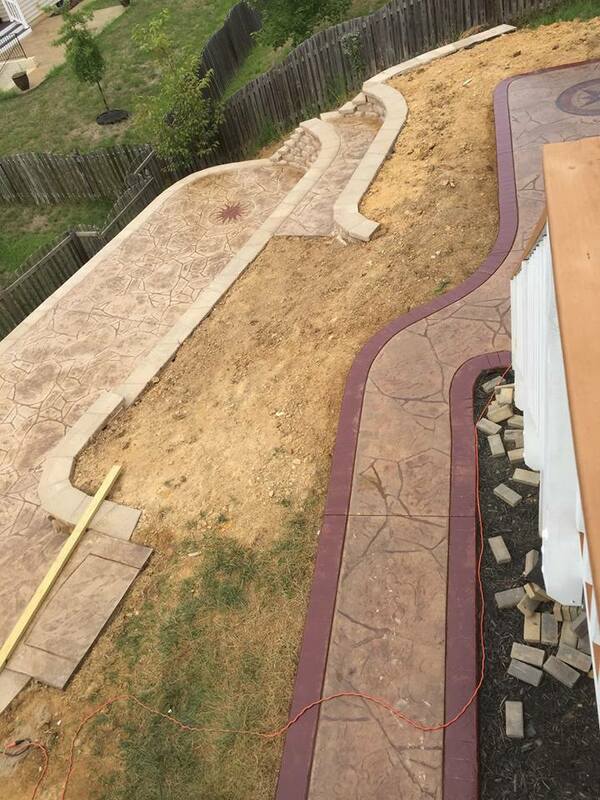 They then install wire mesh, rebar and use 4” of concrete with fiber mesh to minimize the chances of any cracking. 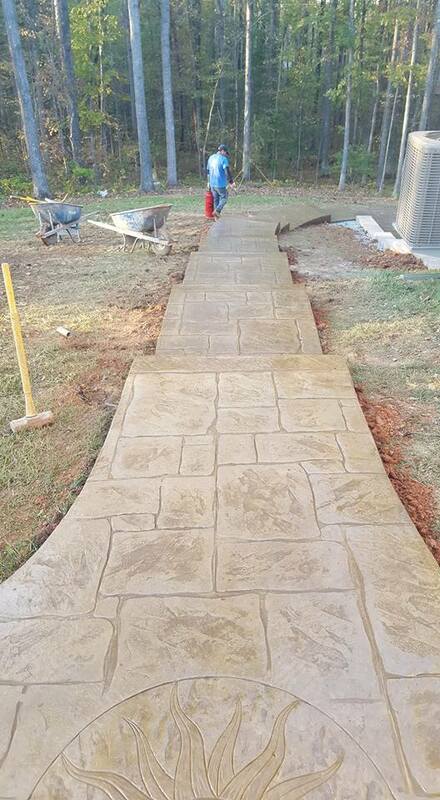 There are all kinds of ways to skimp on a concrete job, but we don’t. 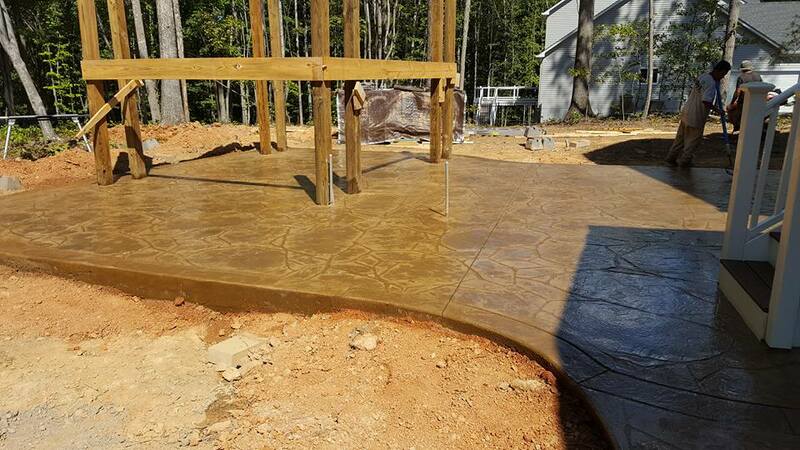 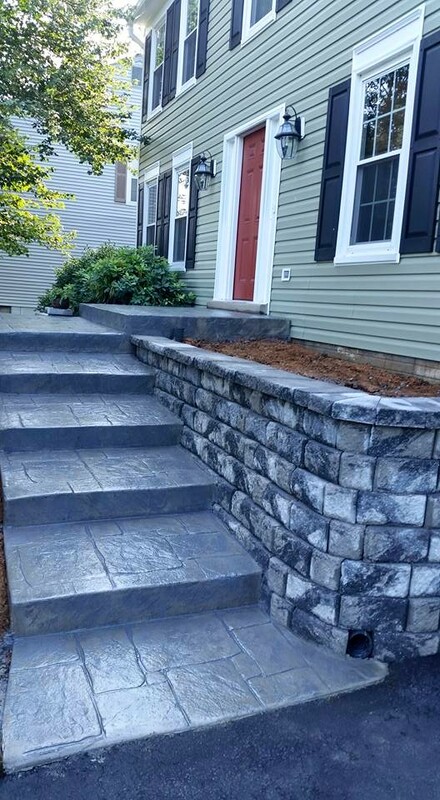 We install your concrete the right way… even if it costs us a few bucks extra. 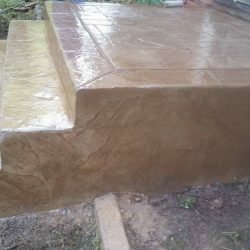 In addition to the above, because we know that ALL concrete will crack eventually, instead of trying to create a wide, shallow control/expansion joint while the concrete is still wet, our people return when the concrete is set up and run a thin concrete cutting blade 1.5” deep to make the concrete more likely to crack under these deep cuts which will hide them from view. 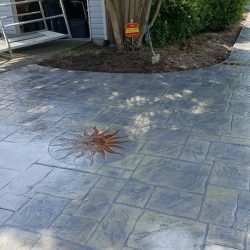 No one can completely stop concrete from cracking, but we can help to control WHERE it cracks and go a long way toward preventing ugly cracks that are visible. 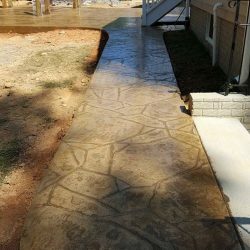 Click or call for a quote. 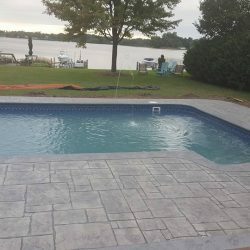 Ready to pull the trigger? 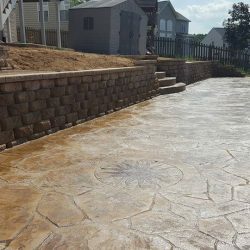 Fill out our new Client Worksheet and we will start the design process for your new concrete project!